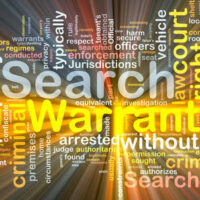 Warrantless searches are involved in almost all drug possession, weapons possession, and other such cases, unless the arrest was a culmination of a months-long investigation. The Fourth Amendment prohibits unreasonable warrantless searches. The concept of reasonableness and what it means to a given set of facts has been explored by the Courts for decades. The United States Supreme Court has articulated two standards for determining when a Fourth Amendment search has occurred: (1) whether there has been a physical trespass or intrusion upon private property, and (2) whether the person searched had a reasonable expectation of privacy in the area searched by government officials. While the law goes back and forth as to the specific kinds of searches that are permissible, these categories have remained relatively constant since the Supreme Court developed the exclusionary rule in the 1960s. This doctrine states that evidence which is seized unlawfully must be excluded at trial as fruit of the poisonous tree. This exception is probably the most common one, largely because many people do not realize that if an officer asks for permission to search a car, vehicle, or there person, they have a right to refuse consent, at least in most cases. There are a couple of rules. Most significantly, the person who gives consent must at least have apparent authority to give such permission. A roommate can give permission to search a house even if that person is not listed on the lease. However, a roommate cannot give permission to search a locked box belonging to another inside the house, because the person clearly lacks authority to give such permission. Similarly, a passenger cannot give consent to search a car, at least in most cases. Generally speaking, the law allows an officer to search your person (pockets, underwear, socks) following an arrest. Similarly, the law allows an officer to search your car if you are arrested when it is ‘reasonable to believe evidence relevant to the crime of arrest might be found in the vehicle’. Officers may seize contraband which is in their plain view. Such evidence is admissible only if the officer already had a legal right to be in that place and used no enhancements, such as binoculars, to bring the contraband into plain view. If the drug, weapon, or other item is only partially visible, the judge usually decides, based on the evidence, whether or not it was within “plain view” in this context. Under Terry v. Ohio, if officers have reasonable suspicion (an evidence-based hunch) to believe that the defendant is engaged in criminal activity, they may pat down the suspect’s clothes for weapons, take any contraband that they find, and potentially use it against the defendant in court. A smart defense lawyer will argue that the officers exceeded the scope of the pat down and move to have the evidence excluded at trial. Sometimes, Florida officers go to places to check on the safety of the individuals inside, often in response to 9-1-1 calls from third parties. In these situations, they may go inside the building without a search warrant to ensure that the place is in fact secure. Police officers can sometimes obtain evidence in violation of the law. For a free consultation with an experienced criminal defense attorney in Tampa, contact The Matassini Law Firm, P.A. Convenient payment plans are available.